Parents face many challenges as they guide and usher their teenagers through the final years of adolescence on their way to becoming young adults. One of the most common is knowing when their teen’s behavior is normal and a sign of healthy adaptation and when it is abnormal and requires attention. It is normal for teenagers to spend time away from their families, often secluded in their rooms. For many parents this change in behavior can feel like their child is pulling away, like there is some problem or tension within the family. This can lead to concern about whether or not this alone time is healthy or if it is a sign that their child needs help. Like most parenting challenges, there is no easy answer or fail-safe guideline that can be used to know the difference. In part, it depends on your child. Some people are more introverted than others, which means that some teens will seek more solitary time than their peers. Other teens may find the demands of socializing and school draining and seek alone time as a way to re-energize and rejuvenate themselves. A teenagers desire to spend time alone is not a cause for concern. In fact, this kind of separation is an important part of their development. But in order to provide for and protect their children, parents need to be able to tell between solitude that signifies healthy development and solitude that signifies danger ahead. To help understand if your teenager is lonely or just spending time alone, here are the most common healthy reasons teens seek solitude. 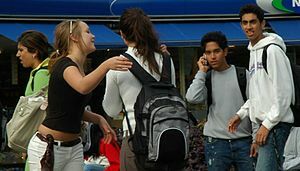 Even teenagers who were outgoing as children can experience periods of shyness as teenagers. The teen years bring changes to almost every aspect of life and it is perfectly normal for teens to become fearful of things like saying the wrong thing, looking silly or strange, being rejected by others, or not fitting in with their peers. These types of fears can result in periods of shyness when your teen withdraws and seeks the comfort and safety of solitude. While feeling and acting shy is not cause for parental concern, parents can help their teen through these phases by offering encouragement and support. Sometimes, we all just need to spend some time by ourselves. Being with other people requires a lot of energy no matter what age you are because you have to consider the other people’s needs, opinions, and feelings while moderating what you say and how you act. 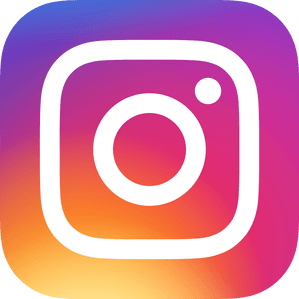 This can be draining even if you aren’t a teenager trying to navigate a constantly shifting and completely unforgiving social network while also building the skills to do so. Sometimes, your teenager just needs to not have to worry about anyone else for awhile so they can recharge their own batteries. This is healthy behavior and no cause for concern. As mentioned above, some people, including teenagers, are simply more introverted than others. Introverted teens thrive when they get to spend enough time on their own. They benefit from honoring this side of themselves and the best thing parents can do is be understanding and supportive of their need for this solitary space. However, even introverted teens need social interaction. Creating relationships, connecting with others, and establishing solid communication skills are as essential for introverts as they are for extroverts and teens that isolate themselves in order to avoid these situations may need encouragement in these areas. Regardless of what may be leading your teen or adolescent to spend time alone, be aware of any signs of depression that may be causing this behavior. Be on the lookout for any of the following signs of depression. If you have any questions, please don’t hesitate to give one of our counselors at Doorways a call.